If you have owned a 94-98 Mustang with some serious mileage on it, you have probably experienced your odometer stop working. If so you need the Late Model Restoration odometer gear repair kit. If your odometer has stopped working just rest assured that this is an easy, cheap and quick fix. I had to replace these gears on both my 1996 and 1998 Mustangs. 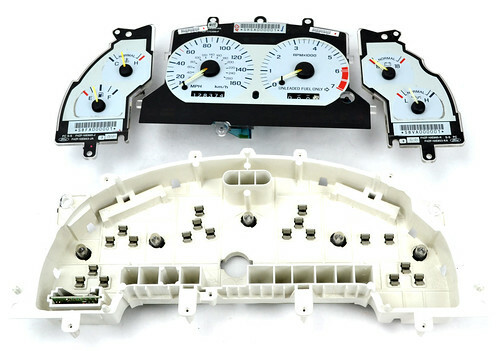 You simple need to remove the speedometer assembly from the dash and follow the steps below. I have also supplied a link below to an easy to watch YouTube video that shows a step by step picture slideshow and the direct link to the printable version of the odometer gear repair kit instructions. Don’t forget to follow us on Facebook, YouTube and Google+. 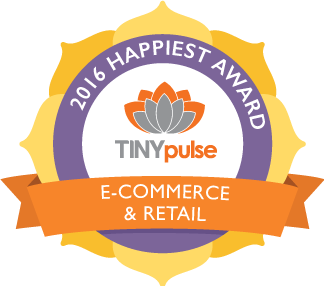 Watch for exciting contest, promotions, events and Mustang news. 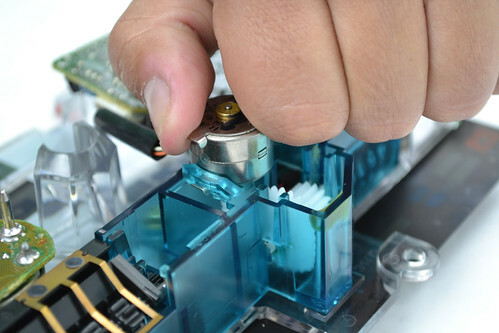 Gently pull the cluster out of dash until it stops. 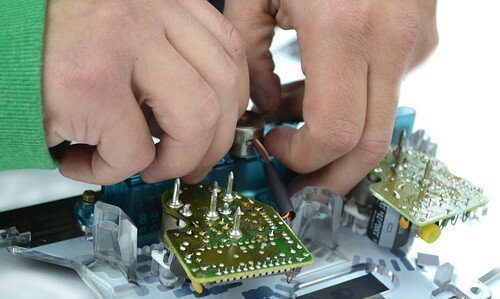 You will have to disconnect the wiring harness from the back of the cluster. This is a tight fit for people with larger hands. Now follow these simple instructions to get your odometer back on track. 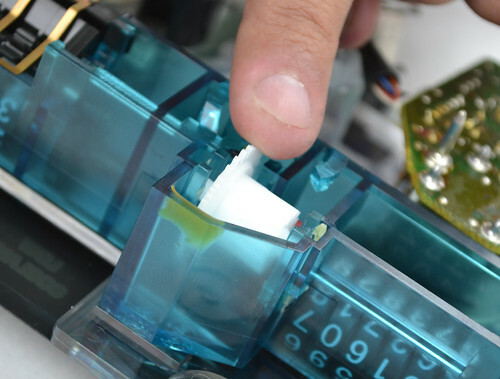 Start with your instrument cluster on a clean, flat work surface. 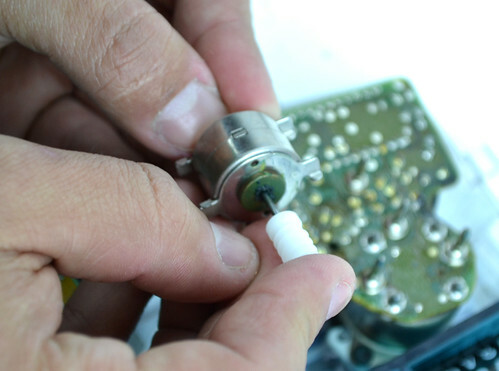 Remove the 8 T15 torx screws that hold on the instrument cluster lens. 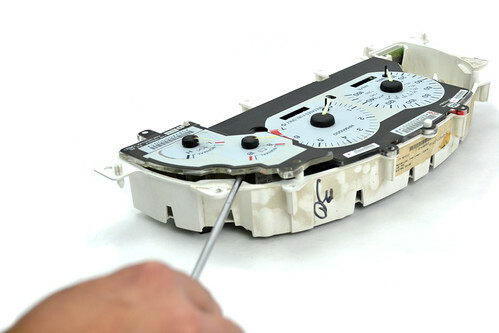 Once the last screw is removed, use a flat blade screwdriver to help remove the fuel level/engine temperature gauges. 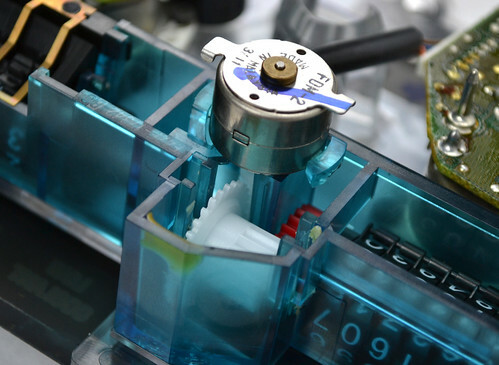 Only a light application of pressure will be needed to release the gauge contacts. Repeat step 4 for the volt/oil pressure gauges. Grasp the speedometer/tachometer with both hands and lightly pull up. This will release the gauges from the housing. Flip the speedometer/tachometer over so that the back is facing upward. Now you need to remove the odometer drive motor to access the gears. To do this, lightly push down & at the same time twist clockwise. With the odometer drive motor released, you can see the drive gear attached to the motor & the driven gear still in the gauge. Next you need to remove the black driven gear. Using needle nose pliers pull straight up on the gear. Don’t worry if the gear starts to break apart, just be sure to retrieve any pieces that may fall off. 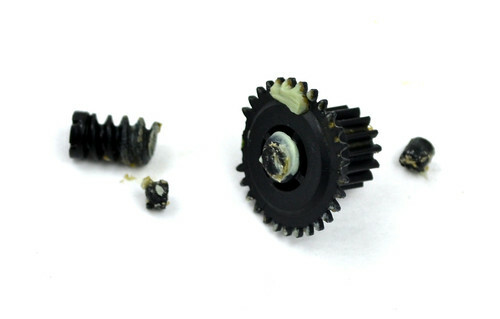 This is most likely what you will end up with once the drive gear is removed. Install the new drive gear by pushing it down until it snaps in to place. 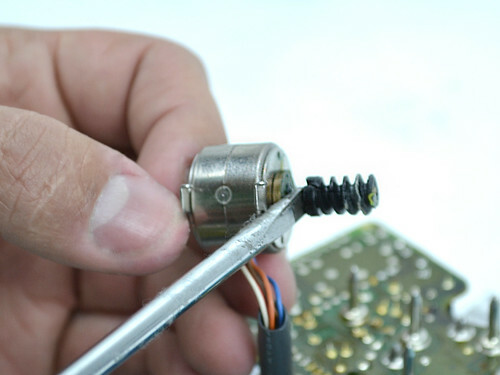 Using a flat blade screwdriver, begin prying off the drive gear. Once it is about half way off the shaft, you can finish removing it by hand. Install the new drive gear by simply pushing it on. Be sure to not push the gear on too far, leave a small air gap between the motor & the gear. 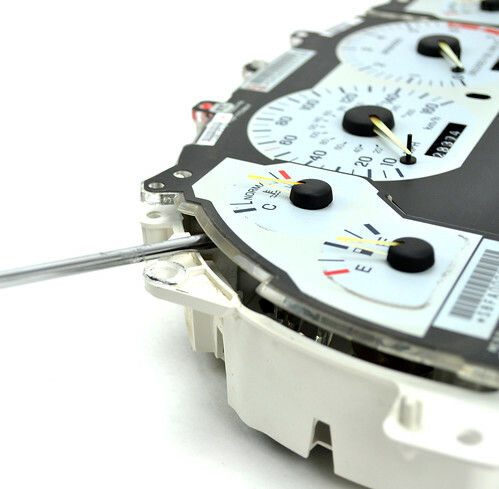 Re-install the odometer drive motor by pushing down & turning counter clockwise at the same time. Re-install the speedometer/tachometer into the housing by lightly pushing down & re-installing the single screw removed in step 3. Re-install the remaining gauges by lightly pushing down until they are seated. Place the lens back on the cluster & re-install the 8 screws removed in step 2. You have successfully repaired you non-functioning odometer! 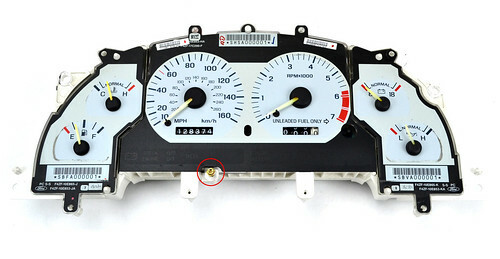 Re-install the instrument cluster in the vehicle and take a test drive to verify proper operation. If you have any questions about this install please feel free to contact our tech department @ 1-866-507-3786.